I didn’t elect to install them all, but you can if you want to. This list shows my personal faves. Where to Get the Free Win7 Games Download? By default, installer picks everything, but you can uncheck your unfaves. Give yourself a small treat for the holidays this year. 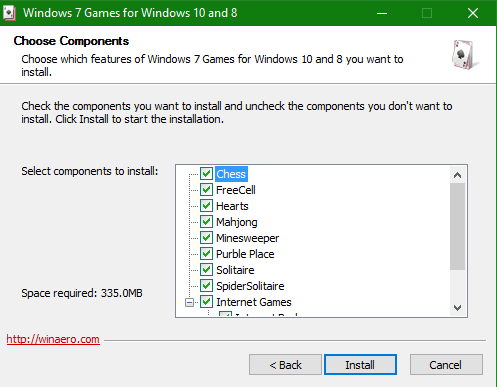 If you don’t already have these games installed on your Win10 PC(s), that’s quick and easy to fix. Enjoy!